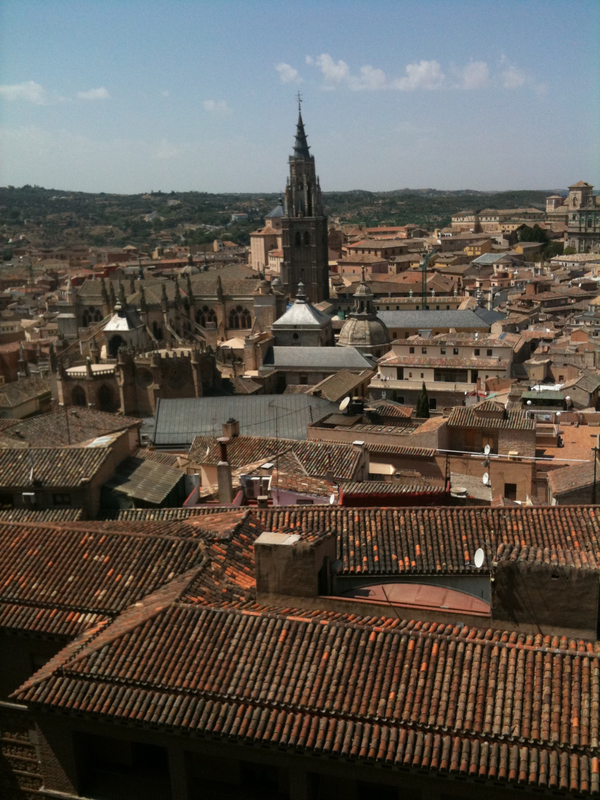 My husband is from an old city in Spain, born and raised among stone buildings and wide open Castilian plains. We flew here yesterday, and I spent this afternoon visiting his grandmother while he went to the Madrid soccer game with his dad. 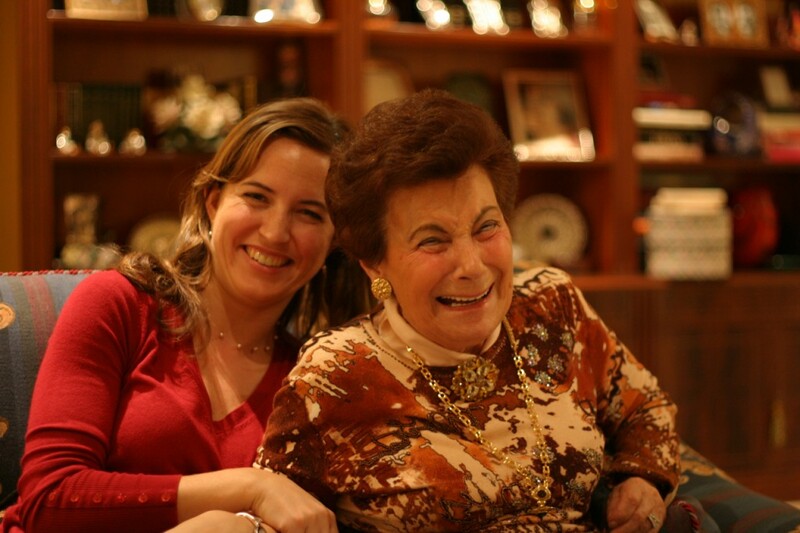 I never knew my grandparents, and am in love with this Spanish grandma, 91 and full of spirit and a lifetime of stories. We talk in her sitting room, in flowered easy chairs surrounded by family photos and the sounds of heels on cobblestones below the window. She’s lived in this same first-floor apartment since the mid-1940s, between the Alcazar and the Cathedral, centers of military and religious power that dominate the Toledo skyline. She tells me about growing up here, going down to the community fountains with a bucket to get water, lingering with her friends talking about boys. Working in her family’s bakery during the Spanish Civil War, trading bread for produce with people who rode donkeys into the city from the pueblos. Going from house to house through tunnels in the walls when it was too dangerous to walk on the streets. I am going to interview her, record the stories, write a history of her life. When I ask her, she likes the idea, goes and gets a small pad of paper and begins reading me her family history in dates; births, weddings, deaths, where people were from, full names (a mix of Spanish and French from her mother’s side of the family). When she finishes reading, with the last two grandchildren, my husband’s adopted cousins, it’s quiet, and I’m thinking about how much she’d like to write down a great-grandchild in this small family history. “Have faith” she says, as I kiss her soft cheeks goodbye, and bundle up against the cold. And I feel it, because she is smiling, so full of life, spirited and beautiful after all she’s lived through.